Water table for spray park? Increased efforts at citizen engagement appear to be paying off as town council moves forward with a proposal for a water table at the Taber Spray Park which was brought to them through a new initiative. Mayor Andrew Prokop was unsure of the cost of such a development, but some tentative numbers had been discussed. Coun. Jack Brewin suggested a water table might help bridge an activities gap at the facility between toddlers and older children. 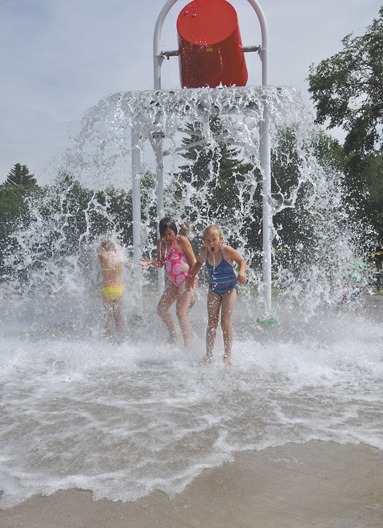 Following discussion, council voted unanimously to direct the Taber Recreation Board to investigate the feasibility of a water table for the spray park, including cost and location.